WAIST HIGH: Return To The Blitz - 2011. Return To The Blitz - 2011. 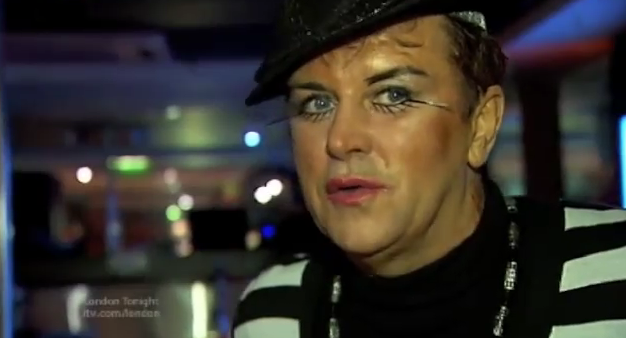 Follow the link here to see ITV's six o'clock news magazine London Tonight report on Saturday night's RETURN TO THE BLITZ party hosted by Steve Strange & Rusty Egan who were celebrating the launch of their official website The Blitz Club and a load of nostalgic New Romantics from 1979 find themselves mingling with Neo Romantics from 2011.